From a purely superficial perspective, the most significant takeaway from ARITA’s 25th national conference was the delegate satchel, a cunningly fashioned navy blue holdall which resembled a gym bag but accommodated all the merch fit to pinch from this most sedentary of industry events. From the perspectives of knowledge and of insight, elevating one moment among the many over the two days is not so straightforward. There was perhaps no narrative more gripping than that delivered on the first morning of day one of the conference by US Bankruptcy Court judge the Honourable James Peck. Joking that one of the benefits of presiding over the Lehman Brothers bankruptcy was that it had brought him to Australia four times to speak about it, the judge recounted how on the Friday afternoon after the last ditch deal to sell Lehman the previous weekend had falled through, his court was so packed he could feel the heat as people crowded close to the bench. Yet by a seeming coincidence, the judge had been unwittingly preparing for almost a year to preside over the largest bankruptcy in US history. 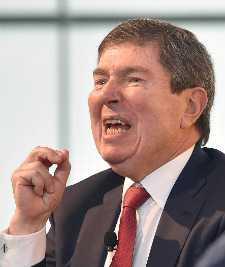 “I had spent nine months reading up on it (systemic risk) and I recognised how frightening this was and I recognised the need for urgent action in the Lehman case the day I was assigned the case,” he told the throng of ARITA members and guests assembled in the grand ballroom at Sydney’s Hyatt Regency hotel. So why had he been reading up on systemic risk? Because in 2008 he was asked to moderate a panel discussion on the topic at a bankruptcy conference held in Scottsdale Arizona, which the judge helpfully described as being”10 times bigger” than the ARITA conference and attended by several thousand people. 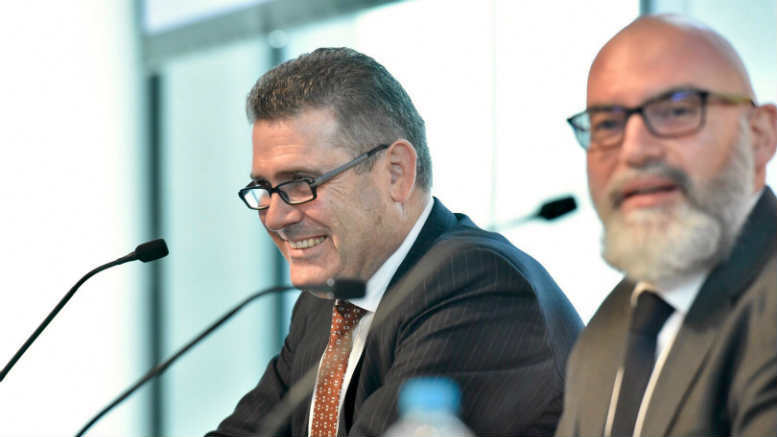 The same set of circumstances that tore Lehman down also visited plenty of pain upon financial engineers down under and similarly engaging insights were offered up by Deloitte’s David Lombe and Johnson Winter & Slattery’s Joe Scarcella. The pair have been acquainted with one of Australia’s largest ever corporate collapses since BBL’s board placed the company into voluntary administration in March 2009. 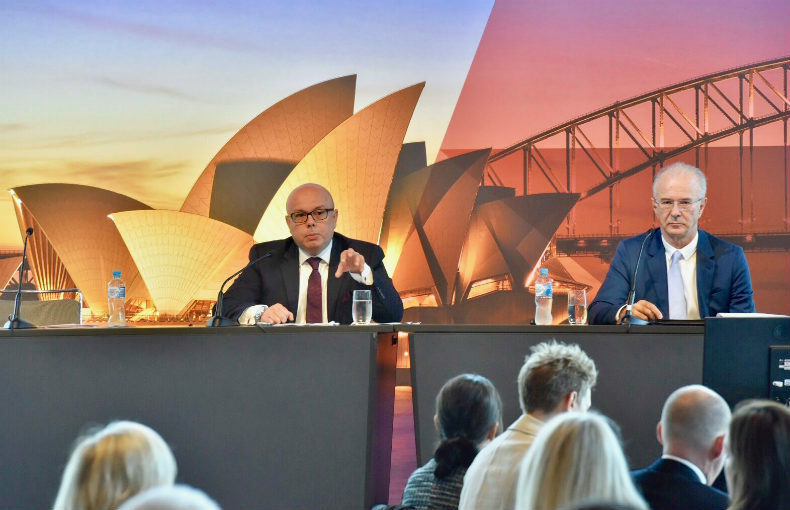 On Thursday they shared their prodigious knowledge in the context of a hypothetical about whether or not the recently initiated Safe Harbour reforms could’ve saved Australia’s highest profile financial engineering failure. Their conclusion was that Safe Harbour, which is ultimately about director liability, wouldn’t have delivered the critical “cram down” of secured debt or the reordering of priorities that the company needed. Phrases like “cram down” also figured heavily when the conference turned to the topic of cross-border insolvency and new and emerging jurisdictions, specifically Singapore. Barrister Scott Aspinall moderated a panel that included Borrelli Walsh managing director Cos Borrelli, Oon & Bazul Singapore partner Meiyen Tan and former INSOL president Mark Robinson, who INO heard is on the cusp of joining BDO though he declined to confirm the report when we asked. 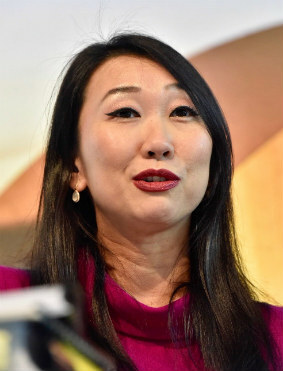 Tan explained that Singapore’s nascent insolvency and restructuring laws are non-prescriptive and very much based on the Chapter 11 process favoured in the US. The Singaporean law also provides for a regime whereby secured debt can be crammed down and payment priorities reordered via “super priority” or debtor-in-possession (DIP) refinancing, approval for which requires proof that orthodox financing avenues have been adequately explored and exhausted first. Borrelli nominated troubled Singaporean water treatment firm Hyflux as ” … probably the first full and real test of the regime”, saying it was “Singapore’s first cram down”. 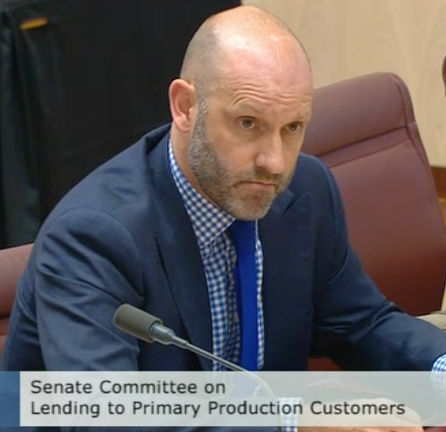 ARITA CEO John Winter at the Senate inquiry into rural lending. Only last week the company announced a $S530 million lifeline from two Indonesian companies but a Singaporean judge has yet to approve the terms. “I think this company is going to push some boundaries in terms of (super priority financing),” Borrelli told the audience. No conference of course would be complete without an update on the latest legal cases of relevance to restructuring and insolvency practitioners. Corrs partner Michelle Dean updated the conference on the implications for set-off and mutuality flowing from Court of Appeal of Western Australia’d decision in Hammersley Iron Pty Ltd v Forge Group Power Pty Ltd (in Liquidation) (Receivers and Managers Appointed)  WASCA 163. Clayton Utz’s Orla McCoy spoke authoritatively about developments in the use of deeds of company arrangement (DoCAs), touching on Arrium, and Mighty River and why judges don’t like the expression “holding DoCAs”. The pros and cons of doing away with hourly billing were also debated and ARITA’s stirling advocacy in the crucible of an uninformed senate inquiry was demonstrated via the screening of footage of CEO John Winter and President Ross McClymont ably tackling misconceptions uniquely articulated by Senator Pauline Hanson. So with this wrap now complete all that’s left is to return briefly to the conference merchandise, of which there was thankfully very little but in saying that the wireless phone charger from Platinum Sponsor Litigation Lending qualifies for special mention. 1 Comment on "ARITA 25th anniversary Conference Wrap"
You must have missed the serial Millennial apologist preaching to a room of GenX and Boomers about how they need to make their younger staff feel psychologically safe to explore themselves. As a GenX angry man, I love the idea of staff exploring their delegation limits at the potential expense of my hard gained registration. I have since purchased a box of participation medals for the round of next staff reviews.